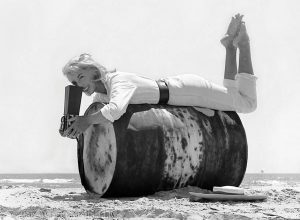 Welcome to the official Dare Wright website where you can explore Dare’s story and see her amazing photographs. Follow the creative road she traveled from skilled artist to Broadway stage actress, cover page fashion model, professional photographer and acclaimed children’s book author and illustrator. Here you can browse her best-selling children’s books that have delighted millions of readers for more than sixty years, and that remain in print today. 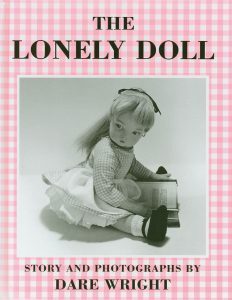 Here too you can discover the real story behind the creation of Dare’s most celebrated title, The Lonely Doll. 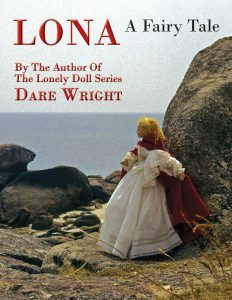 The Lonely Doll® is a registered trademark of Dare Wright Media, LLC. The Dare Wright Collection includes all of Dare Wright’s life rights, her original photographic film and prints, videos, books, memorabilia, artwork and all other Dare Wright property of all kinds encompassing her entire estate. The Collection is the exclusive property of Dare Wright Media, LLC and its content may not be copied, reproduced, distributed, licensed, sold or otherwise utilized or exploited for any purpose or by any means whatsoever, whether in print, film or digital (electronic) format, without the express permission of Dare Wright Media, LLC.